Have a budding geologist in the family? Or maybe it's you! 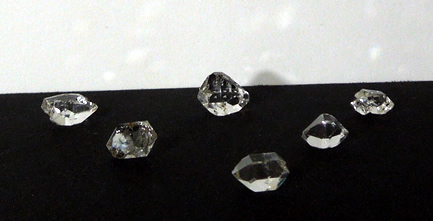 This group of Herkimer Diamond crystals includes a 10x loupe (pictured below) for full engagement with the specimens. From cloudy to clear, it's an eclectic group of B grade double terminated quartz crystals. 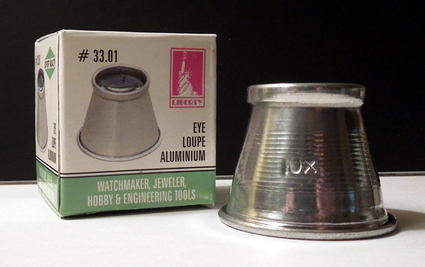 Viewing crystals with a loupe is super interesting and fun! 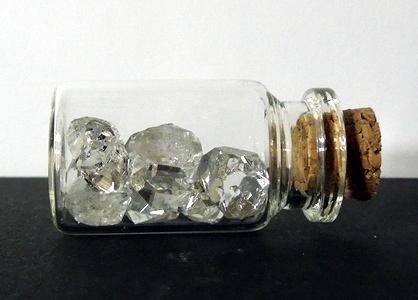 The cork top glass vial keeps the Herkimer Diamond crystal specimens safe while allowing for easy access. 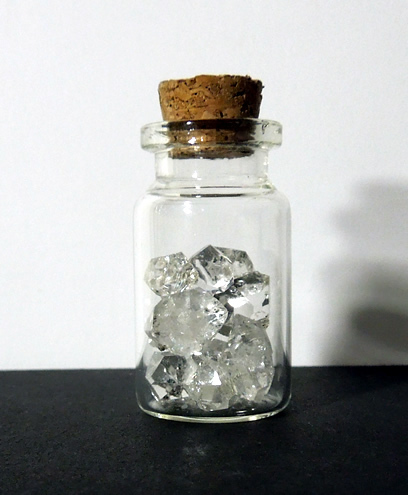 B grade Herkimer Diamond crystal specimens. Two pictures above include 7 of the 13 crystals in the group. Two pictures above include the other 6 Herkimer's in the group. 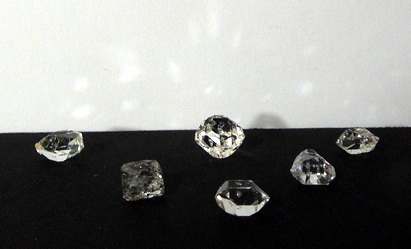 A 10x loupe is included with this group of Herkimer Diamond crystal specimens.